Once again, this year the school council were elected following presentations to every class in the school. The two representatives from each class who were most persuasive, polling the greatest amount of votes were appointed as council members. Through-out the course of the year, the council has met on a more regular basis, and have enjoyed the opportunity to influence management decisions regarding the dining area, fund-raising initiatives and the purchasing of playtime equipment and the redecoration of the school playground – effectively communicating the opinions and preferences of their peers. Currently the council is committed to investigating which charities we should support as a school. 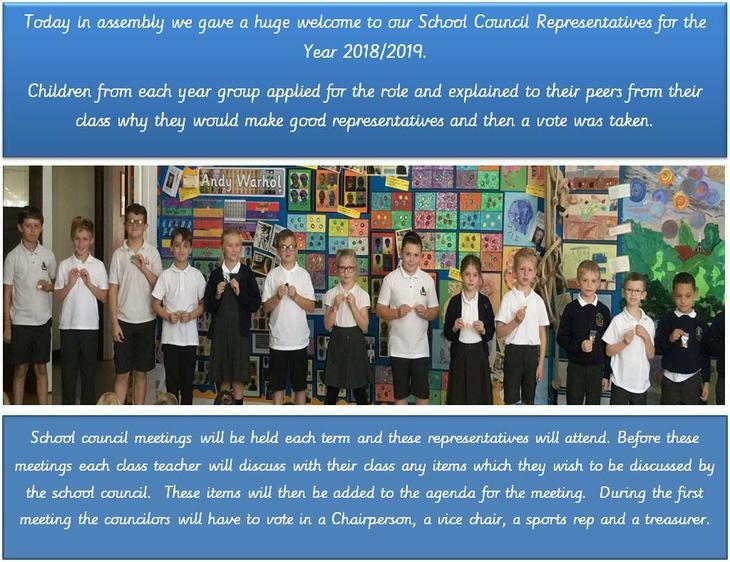 If your child has any ideas or is passionate about any aspect of school life, please encourage them to approach their council representative who will share these with the rest of the committee.